I’m dreaming of warmer days. They can’t be too far off, right? Last spring and summer I lived in dresses, and I’m looking forward to bringing them out of hibernation. Have you packed up your winter clothes yet? It’s just been too cold here, but it’s slowly getting warmer, so maybe I’ll throw caution to the wind and do it this weekend. In the meantime, I did a little virtual window shopping, and I found so many cute spring dresses that I just had to share. There’s one for every occasion – from work to Easter to more casual moments. Here’s to dreaming of warmer weather! I love the sporty, yet flattering shape of this Indication by ECI Striped Crossover Dress. It would look so cute worn with a pair of Chucks! This Chaps Polka-Dot Ponte Dress is perfect work. Pair it with a cardigan or lightweight jacket. The unique diagonal color blocking on this Ivy & Blu Fit & Flare Dress highlights the pretty eyelet fabric. Ruche’s New Horizons Color Block Maxi Dress has a vintage vibe that would look amazing paired with strappy wedges. It’s hard to tell from this picture, but this Jessica Simpson V-Back Dress has a gorgeous cutout detail at the shoulder. The details on this LC Lauren Conrad Lace Pintuck Chiffon Dress are so sweet. I’m in love with this adorable Ruche Afternoon Stroll Tunic Dress, which I’d wear with a cardi now and to the beach later. You can never go wrong with a classic style, like Maggy London’s Matte Jersey Faux Wrap Dress, which has a fun graphic floral print. Doesn’t this Ruche Valletta Sailing Button-Up Dress look like something you’d see in The Talented Mr. Ripley? I’m picturing it with a pair of strappy leather sandals. This Eliza J Ponte Knit Dress has so many great details: stripes, lace-trimmed sleeves, and a shirttail hem. Merona’s Textured Cap Sleeve Fit and Flare Dress has a super flattering shape and lots of stripes. What can I say? I love stripes! Bring out your boho side with Ruche’s Canyon Trails Embroidered Dress. This Adrianna Papell Lace Sheath Dress is super ladylike, and the structured shape works for a lot of figures. More stripes! Merona’s Drawstring Shirt Dress is a great update on a classic, and that sunny color will brighten up any day. A pretty animal print and pleated detail make this Halogen Fit and Flare Dress stand out. P.S. Help celebrate my birthday at my Link Party! Link up all your best posts: recipes, DIYs, tips, fashion, etc… anything goes! 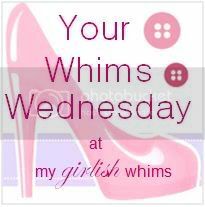 I’m linking up with I Feel Pretty, Your Whims Wednesday, Beautiful You, Tres-Chic Fashion Thursday, and Random Wednesday. Do you watch Showtime’s Shameless? It stars William H. Macy as Frank Gallagher, an alcoholic father of 6 kids who are, for the most part, better off without him in their lives. The show, which is set in Chicago, is equal parts amusing and disturbing (it’s definitely not kid friendly). There is literally never a dull moment in the Gallagher’s household. Picking up the slack is Frank’s eldest daughter, Fiona, played by Emmy Rossum. I love her character! Fiona is trying to improve her life and that of her brothers and sister, but it’s definitely an uphill battle. If you haven’t watched the show, I definitely recommend it. I guarantee you will be rooting for Fiona alongside me! Photos from StyleBistro and OK! Emmy has got effortless, casual, cool style down to a tee. All of these looks are comfortable, yet pulled together, and totally achievable for you and me! Blouse: Look for a blouse with a special detail, like a bow or contrast trim. I like the Ruche View from Here Blouse. It’s super affordable (under $40), and the pleats along the shoulders add interest. Wear it on its own or with a blazer. Sunglasses: Emmy doesn’t wear a lot of accessories, but she does wear great sunglasses. Ray-Ban’s 52mm Retro Sunglasses look sharp and have a fun vintage shape. Bag: A crossbody bag will keep your hands free and your outfit uncluttered. Apt. 9’s Maggie Crossbody Bag will add a little color to an otherwise neutral outfit, plus it has a unique tassel detail. Blazer: Pull your whole outfit together with a great jacket. I love the ruched sleeves (no need to keep pushing them up all day!) on this MICHAEL Michael Kors Boyfriend Jacket. Sweater: For a super comfy look, go for a slightly slouchy sweater, as Emmy does in a few of the above pictures. Halogen’s Crew Neck Long Sleeve Cashmere Sweater is a cozy option and also a great deal (on sale for $50)! Skinny Jeans: A pair of slim jeans streamlines your whole outfit. I like Paige Denim’s Skyline Skinny Jeans in Trinity. They’re a great basic, and the dark wash will go with anything. Moto: For an edgier look, choose a moto jacket. NYJD’s Moto Jacket with Faux Leather Detail, which is made out of comfortable ponte knit fabric, is a modern option. Boots: A great pair of boots is a cornerstone of Emmy’s style. I love the moto pair that she is wearing in the outfit above. Frye’s Veronica Shortie will give you a similar look. Flats: A pair of ballet flats, similar to the first picture, is a classic choice. I have a pair of Lucky Brand’s Emmie Flats (very appropriate name, no? ), and I love them! They are affordable, lightweight, and have a simple, paired-down design. I hope this inspires you! Check out this StyleBistro lookbook for even more looks from Emmy, including lots of pretty hair and makeup ideas. Which celebrities style do you admire? I’m linking up with Totally Posted Tuesday, What I Wore Wednesday, Vodka Infused Lemonade’s Tres-Chic Fashion Thursday, Get Your Pretty On’s I Feel Pretty, All Things Thursday, Simply Lulu Style’s What I’m Loving Friday, Friday’s Fab Favorites, and Your Whims Wednesday. I love getting dressed up for parties, especially around holiday time, when you have an excuse to bring on the bling! The parties I’m attending this year are more on the casual side, but I had fun pulling together 6 outfits that work for everything from a laid back gathering with friends to the fanciest bash. I’ve included 3 unique hostess gifts, too! Casual: These outfits are perfect for everything from an open house to a relaxed get together with friends. Option 1: Start with a great pair of skinny jeans that have lots of stretch (more room for cookies), like these J Brand 811 Skinny Stretch Jeans. Add a jewel-tone top for a punch of color – I love Tulle’s Dazzling Downtown Top – and top it with a comfy jacket. I’m obsessed with NYJD’s Coated French Terry Jacket, which looks super sharp but is made of sweatshirt material (brilliant!). Keep your hands free for a glass of wine and carry the ‘Alexis II’ Crossbody Bag from Aimee Kestenberg. The fun tassel is definitely a plus! Look for jewelry that is simple, but stylish, like this affordable Multi Chain Adjustable Necklace from Target and these Flathead Studs from Bauble Bar. Finally, add a pair of pointed toe flats – these Nine West Speakups are super versatile – and you are ready to party! Option 2: This looks is all about a great printed dress in a comfortable knit fabric, like the Restless Heart Aztec Dress from Ruche. I love the dolman sleeves! Since the dress is super casual, I’d add some sparkly jewelry that’s festive but not over-the-top. The Stasia Mirror Bibb and Jaguar Studds, both from Bauble Bar, work perfectly. Embi’s Studded Perforated Washed Leather Cross Body Bag will hold all of your necessities. It’s made of Italian leather but is still super affordable. A pair of great boots, like Sole Society’s Nila, pull the whole look together. Don’t forget the hostess gift! Our friends gave my husband and I a table tennis set one year, and it was the best hostess gift ever. It was totally unexpected, but we played it all the time and always thought of them when we did. Festive: these outfits will take you from a night out to a holiday dinner. Option 1: I cannot get over these amazing MinkPink Petrol Metallic Print Pants! Brocade can be stuffy, but these glam pants are anything but. Since the pants are so bold, you’ll want to keep everything else fairly simple. This drapey Long Sleeve Wrap Top from NYJD helps ground the look. The Crystal Quad Necklace is sparkly, but doesn’t compete with the pants, nor do the Mini Knot Studs. I love quilted handbags, and this Iconic Quilted Minaudière from Forever 21 is such a steal. Snap it up before it’s gone! Complete the look with a pair of super sharp heels, like the Calvin Klein Dolly pumps. Option 2: This lace Surplice Dress from Maggy London is flattering and feminine, thanks to the faux-wrap cut. It’s perfect for a holiday dinner. Define your waist even more with a Mossimo Supply Company Bow Belt from Target (a major deal). Continue the lady-like theme with a Regal Charm Bracelet and Hyperfemme Rose Studs from Forever 21, which is one of my favorite places to find affordable costume jewelry. I love this gold Mason Clutch from Big Buddha. It has a snakeskin print to toughen this outfit up just a touch. A pair of kitten heels, like Joan & David’s Gardner Pumps, finishes the look perfectly. Don’t forget the hostess gift! Give your favorite foodie a Slate Cheese Board and a set of Mercury Glass Cheese Spreaders (so pretty!). Throw in a wedge or two of your favorite cheese, too. Fancy: these outfits are perfect for a glitzy party – perhaps New Years Eve! Option 1: Pair a sweetly tailored blouse, like The Limited’s Shoulder Inset Top, with a sparkly skirt, like this Shimmery Tweed Mini Skirt also from The Limited, and you are off to a great start. Add a pair of these Art Deco-esque V to Be Me Earrings from ModCloth and a pretty Onyx Gem Ring from Ruche. A velvet clutch, like ModCloth’s The Finishing Clutch, adds additional texture to the outfit and a bold pop of color, as well. My favorite part of this look may be the Leslie pumps from Kate Spade, the heels of which have an acrylic insert. So very fun! Option 2: This look is all about the sparkles! I absolutely love Ruche’s Morning Light Sequined Dress, and it is such a amazing price. Because the dress is such a showstopper, I’d keep the jewelry to a pair of really special earrings, like the Rose Dewdrops from Bauble Bar. The Minimalist Faux Patent Leather Wallet from Forever 21 is affordable and doesn’t compete with the dress. Finally, the Rem Gem Pumps from Gentle Souls add a beautiful, vintage touch to the outfit and will pamper your feet. You’ll be dancing all night! Don’t forget the hostess gift! Surprise your hosts with a pair of Double Old-Fashioned Glasses – I love the festive message – and a Gold Cocktail Shaker (both from Target). Are you attending any fun parties this holiday season? What will you be wearing? One of my most memorable Thanksgivings happened about five years ago. My sister-in-law, Erin, and her family were visiting my husband, Joel, and I in San Francisco, and I was cooking the big dinner. Joel had just headed to the grocery store to pick up our turkey, and I was finishing things up at home. Overall, it was pretty low-key. For dessert, I was making pumpkin cheesecake. After taking it out of the oven, I set it on the stove top. Erin and I were talking, so I wasn’t paying close attention to the stove. A few minutes later I smelled something burning. Turns out the cheesecake was too close to a burner. A corner of the cheesecake was burned, and the Pyrex pan holding it was steaming hot. I grabbed the pan and set it on a nearby cutting board. Erin and I were standing over the cheesecake, trying to decide if it could be salvaged, when pan exploded! Thankfully, neither of us were hit with any flying glass (the carpet outside our open kitchen wasn’t so lucky). All we could do was laugh. I was still laughing when Joel called from the store a few minutes later to let me know that the turkey, although cooked, still needed to be heated. The one bit of good new was that he was able to pick up a pie to replace the cheesecake. Needless to say, dinner was served a few hours late that year! Mix and match your dishes. Pair your everyday plates with a few special pieces. Have fun with patterns and textures. Combine smooth, cool ceramics with warm wood. Add a little bling. I’m in love with that pretty, gold silverware. Throw in a fun element, like the salt and pepper cellars. Make things a little special and choose pretty linens (turkey print not required). Wine is mandatory! Use your best glasses. Personalize the table. I love these DIY Magnolia Leaf Place Cards. Remember to give thanks! These DIY Thanksgiving Placemats couldn’t be easier to make and will give everyone a minute to reflect. What is your most memorable Thanksgiving story? I have been waiting – rather impatiently – for the weather to start cooling off here in New York. Although I’ll probably regret saying this in another couple of months when the temperature dips into the twenties, I’m ready for some crisp, fall weather! It looks like the mercury is finally going to drop later this week, so I’ve started planning a few outfits. Here are three looks that I’m loving for fall. I love jewel tones for work, and this dark teal blouse is especially pretty. I’d pair it with patterned cropped pants and chunky heel pumps that have a surprise touch of gold. The goldenrod-colored handbag and bold statement necklace perfectly complement the blouse, and on chilly mornings a fun wool cape coat will keep you toasty. This is the ideal outfit for an afternoon movie date. Top a long, lean tank top and stretchy skinny jeans with a with a cozy wrap cardigan. The bright orange earrings and slip-ons add a pop of color, and the elephant necklace is a fun element. A cross-body bag is the perfect finishing touch for this comfortable, yet stylish outfit. For a night out, I like to try out new trends, like this (faux) leather tipped blouse and coated skinny jeans. A sharp pair of booties is a must, too, and I love the buckles on this pair. Accessorize with fun, statement earrings and a chunky, gold cocktail ring. Finish the look with a two-tone motorcycle jacket and a splurge-worthy clutch. I’m linking up with Style Elixir’s Friday’s Fab Favorites and Simply Lulu Style’s What I’m Loving Friday.